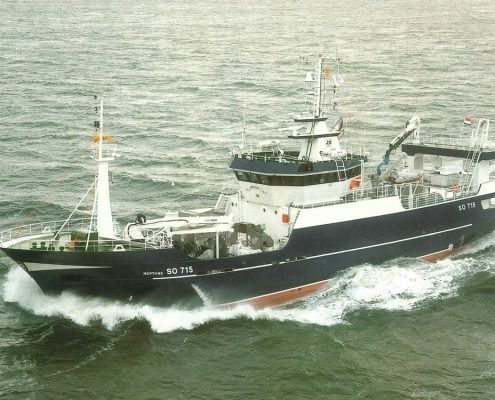 Pair Trawler m.v. 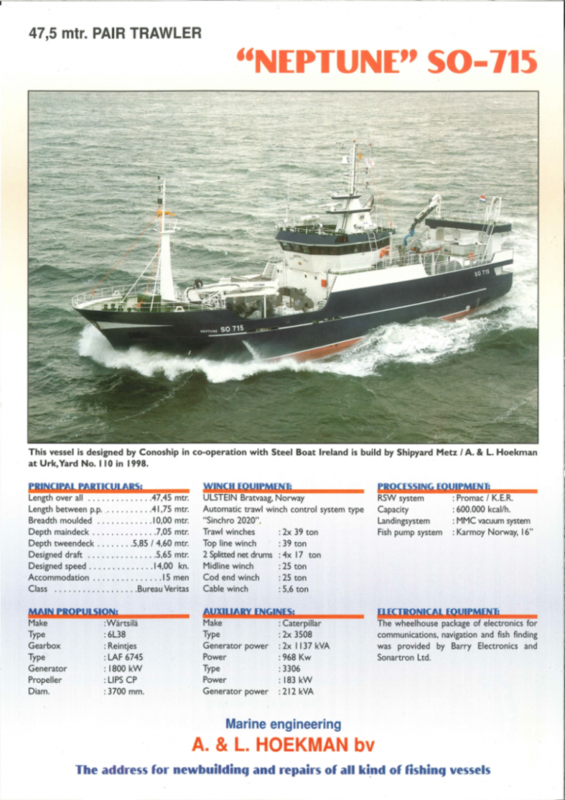 Neptune - Conoship International B.V.
A new trawler suitable for trawling in the North Atlantic Ocean has been developed by Conoship in close cooperation with the Irish owner and machine factory Hoekman. The main propulsion plant consist of a four stroke diesel engine driving a CPP propeller with nozzle. 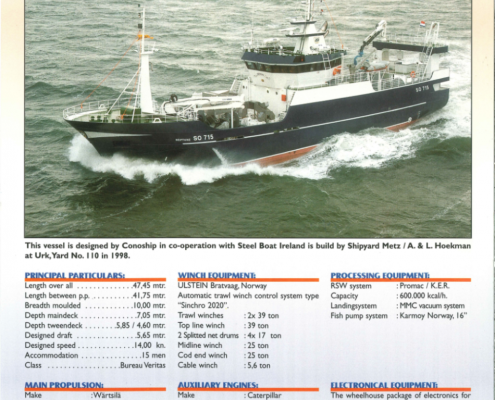 The manoeuvrability is enhanced by CPP bow- and stern thrusters. The auxiliary power plant consists of two large diesel engines and one PTO for driving the thrusters. On the aft deck three winches are installed of 40 tonnes and two net drum winches with a capacity of 30 tonnes. The catched fish will be pumped in the six large insulated RSW tanks and cooled down to -2 degrees. The fish will be discharged by an efficient vacuum system of stainless steel.